I wanted to get the cliffs using their own model and material tonight, but I got stuck with a silly bug for far too long (two variables named “c”, one overwriting the other). 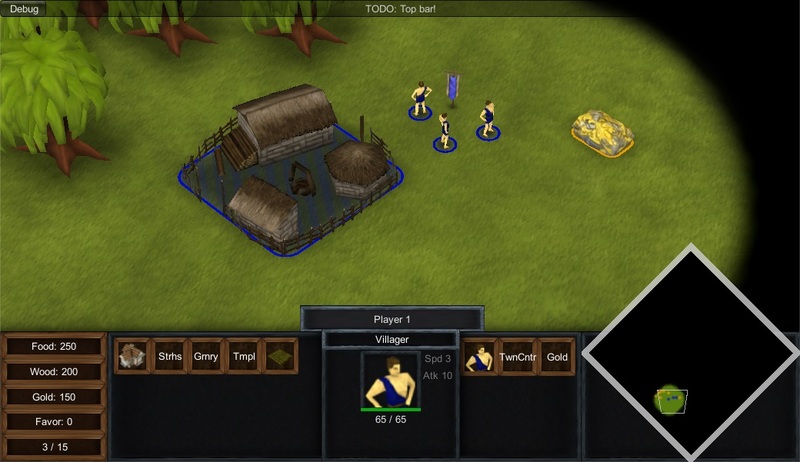 The game now has basic terrain, with units being draw at the correct terrain height. Model transforming happens through an (as yet unseen) node.js server, which also opens a socket to the client; some basic multiplayer tests/features shouldnt be too far off. I made a few models earlier, and since they look much better than the current build, ill post them here instead. 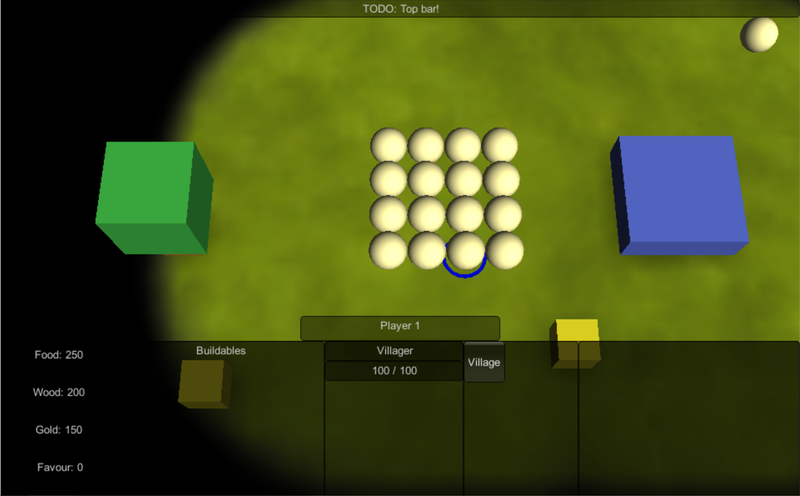 Next step will probably be terrain and other visual improvements. The action system also needs to be revamped; the over-engineered “resources” system needs to be integrated into the entities themselves, rather than a separate component (health and population are considered resources in this system). The resources overhead is insignificant, and almost every entity that needs behaviours, needs resources. 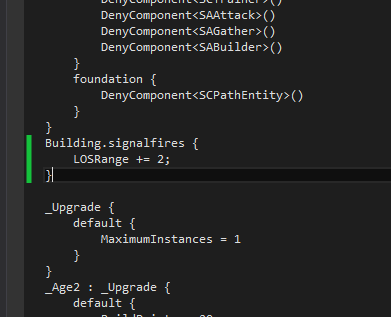 This may make it easier to integrate more concepts (like line of sight) to be resources (probably to be renamed to “properties”), which will make buffs much easier. 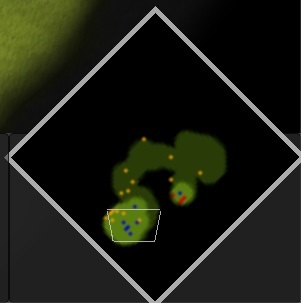 I’ve been getting a bit annoyed at the slow progress on the WebGL RTS4 project. I know what the problem is; I’m over-engineering it, trying to design it to be very general purpose and flexible, but as such it becomes very difficult to make progress. I decided instead to see how far I could get building in a more purpose-built way. Over the last few weeks I’ve been putting together a model pack for Unity, to be released on the Asset Store along with a sample project to see the assets in action; this would be my sample project. The models were created in a hand-drawn cartoony style. 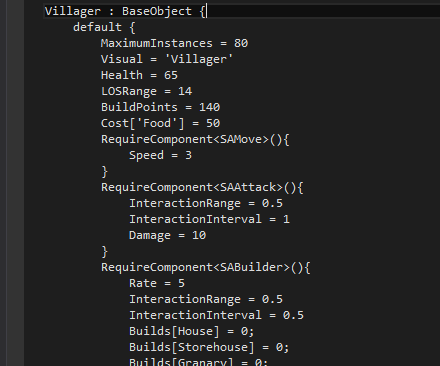 Some of the code is designed similarly to the WebGL RTS4 port, but with more stuff assumed (ie. only 1 action can be active at a time, terrain is a heightmap, buildings are rectangular). 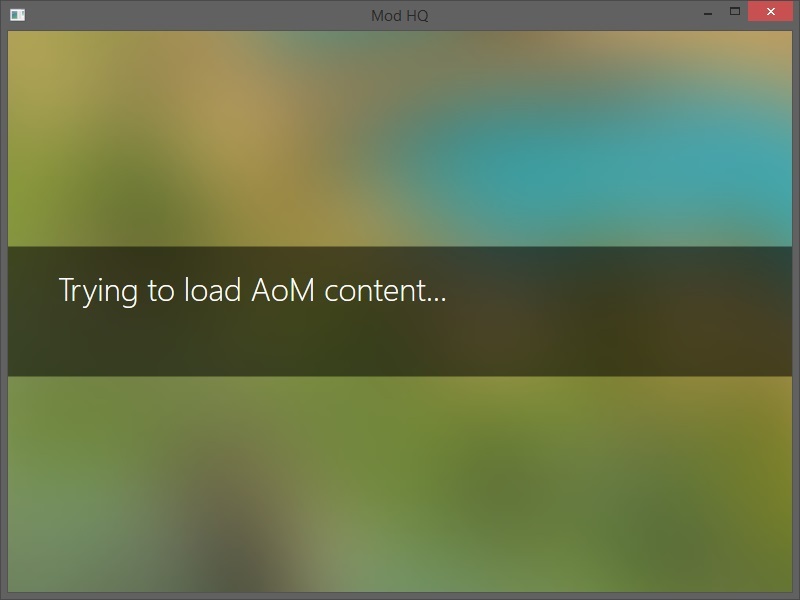 I’ve integrated the UI viewer/editor into ModHQ and fixed up some performance problems. It now loads in about 2 seconds on my (fairly low specd) laptop. It also has a nice new loading screen. 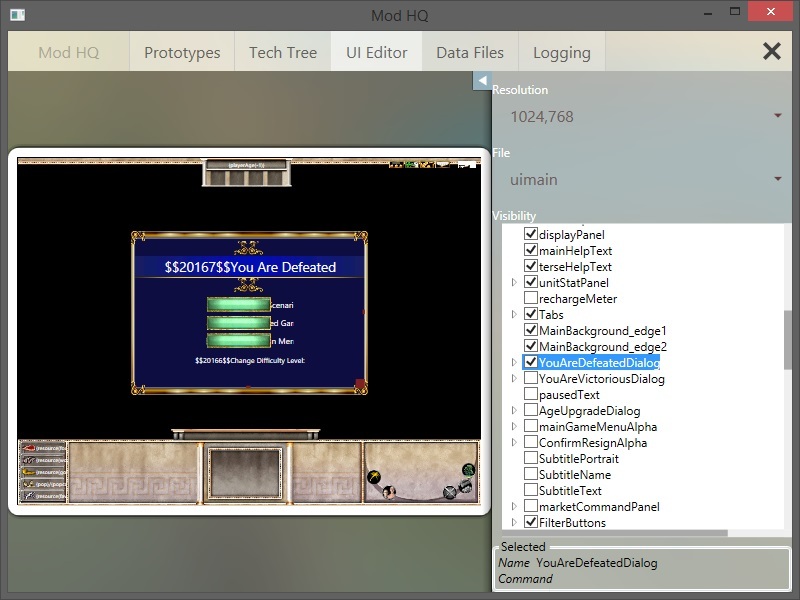 The program is essentially read-only at this stage, any changes you make with the unit prototypes or UI wont be saved back to your data files. However, all changes made through the Data Files tab will. 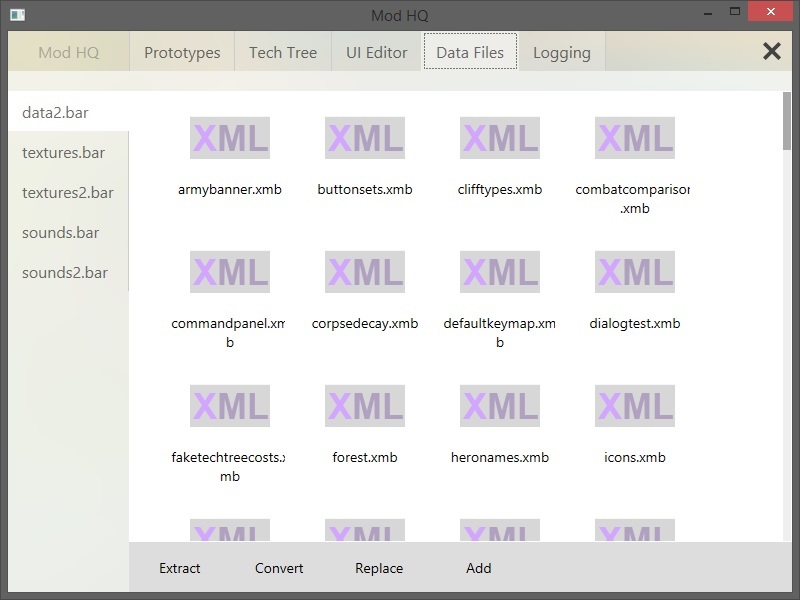 In this screen, double click any item to convert it to XML and open it, you can then make edits in your xml editor, and save it back to have it compiled and inserted back to the data file. Textures can be viewed through this tab, but will not successfully save back to the data file.